take a nap. every day. find an addicting video game on your smart phone. play obsessively. find another game to play when you’re bored with the first one. over-request books from the library – get them all within a week – read constantly. Watch favorite tv shows on Netflix. Get lost searching new recipes on Pinterest. For hours. Spend a few hours reading blogs. Go to Portland with your OH (other half) every other week. Stare sadly into your mostly-empty fridge. Make well- intentioned to-do lists. Check your mailbox – at least twice each day. Play with your dog. If you don’t have one – get one. What are your favorite ways to waste time?? Or, what’s your best time-saving tip? I aimed to ‘help’ fellow procrastinators!! and yes, school was the hardest to get through with this habit! Good luck! I have been pretty good about this lately but if I want to waste some time, I usually read a book or play some Facebook game. My life is pretty boring though. ha! mine is sooo boring if i tell people what i do all day i get kind of embarrassed. what type of books do you read? Reading blogs, or tweeting. Those are my weaknesses. ahhhh yes. those darn blogs. hehe. I haven’t gotten into tweeting yet, i’m overwhelmed a bit at all the social media i’ve got going on already! whew! First of all, I think we all need to stop acting like procrastinating is some type of flaw, or weakness. I think it’s the hallmark of prioritization. Not everyone can work well under pressure. Haha!! I laughed so hard. a nap sounds nice! I actually laughed out loud. AHAHA. These are all so true. 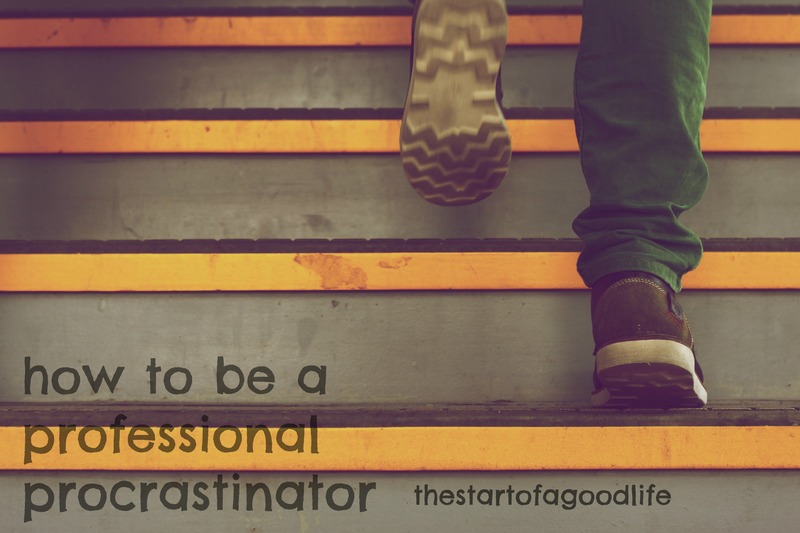 I am a procrastinator as well, normally I either play candy crush, look at blogs or watch youtube videos. Naps are truly a necessity! And how luxurious they feel on the weekends!! LOL I love these. Instagram, Reddit, and Pinterest are my favorite procrastination tools. ahhh yes. I’ve only heard of Reddit though, what is it? SOOO funny. And so true. I can procrastinate with the best of them. LOL. Yes, I am the same way! I get distracted SO easily! Pretty much buzzfeed is my biggest time waster. I can get trapped watching videos! I haven’t checked out buzzfeed, I just might have to though! Haha! So awesome! I am really good at being a procrastinator too!! Procrastinators Unite! Thanks for stopping by! Haha! I can definitely become a professional procrastinator. We really should get paid for it, don’t you think? =) Thanks for coming by! I’m pretty good at procrastinating, too! Taking a nap is probably my favorite way to “waste” time. ahhh, I love naps! I’m actually contemplating one right now and it’s not even noon yet! yipes! HA HA I love this. I love procrastinating. This list made me LOL on the second line. You forgot “watch the suggested videos on Youtube” and “constantly hit the refresh button on the Explore page on Instagram” … that’s not just me, right? I’m so glad you liked it!! So far, it’s my hubby’s thing to watch those videos but I figure I’ll come around eventually. it is, isn’t it?!?! One must practice it for years to really do it well. I am also a fellow professional procrastinator 😦 It’s basically the worst life skill because I seem to never get things done! I do get frustrated at myself sometimes with how I avoid getting anything productive done some days. I’m learning to do things in spurts. hehe. hahaha! Oh this post is so me some.. ok, most days. My best tip for being a procrastinator? Create a new board for a project you want to do and pin no less than 100 inspirational and tutorial pins. Then go back and search again for some really cute ToDo lists, because…. some day you might actually use them. And if not, well… they look super cute on your Organization board. Oh man, I feel like you wrote this for me. I should be a professional, but I real like I do my best work under pressure! haha, I do really well under pressure (to a point) – another aspect of being a procrastinator I think! Ha! Too funny! For me, I just need to log on to Facebook aka the black hole! LOL! Ha. This is most definitely the story of my life.